Academic professionals wear many hats. They teach at universities, do research, write papers, serve as journal editors, give presentations for their peers – and practice their professions. All of these roles involve communication. In the case of physicians, they must also communicate essential information to patients and other physicians, when miscommunication can have dire consequences. 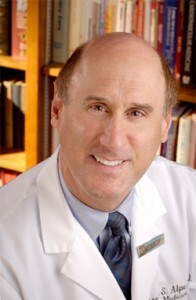 Joseph Alpert, MD, plays all these roles as Professor of Medicine at The University of Arizona College of Medicine in Tucson, Arizona; Editor-in-Chief of The American Journal of Medicine (AJM); and a member of the editorial board of other journals. Here, he writes about communication failures he has witnessed in his own practice and how to avoid them. Effective communication in clinical practice and teaching is, in my opinion, one of the most important skills that physicians in academic and community practice should strive to acquire. During my many years in medicine, I have often witnessed serious failures in communication between physicians and patients and among physicians speaking to each other. The most common failure is the result of inattentive or inaccurate listening. When an individual fails to comprehend what is being said either explicitly or implicitly, misunderstandings may result that require prolonged discussion and negotiation before resolution is achieved. We can all agree that confusion often results when careful listening is not exercised. So how does one learn to listen effectively? This essay lists examples of communication failures along with guidelines I try to follow to improve my own communication skills in what I say or write. 1. Put down that iPhone and really listen! Effective listening requires a conscious effort in order to understand what the speaker is trying to communicate. This kind of listening requires complete and focused attention; it will not occur if the listener is distracted by other thoughts or by a smart phone or BlackBerry. When I am trying to talk to someone and they are scanning through messages on their handheld device, it irritates me because I feel that they are not focusing their attention on what is being said. In addition to being downright discourteous, listening is not occurring. The simple guideline to follow here is to focus one’s attention actively and consciously on what is being said. A second obstacle to understanding occurs when individuals use technical jargon during a conversation with someone who is not conversant with the terms. This failure frequently occurs when physicians or other health-care professionals attempt to clarify for a patient the cause of their illness and how it will be evaluated and treated. When technical terms or abbreviations such as “cath” or “PCI” are used in such a conversation, the patient often requires additional, detailed discussions. Physicians and their associates should eliminate jargon and abbreviations and use straightforward language. A third failure of effective communication involves teaching exercises or scientific presentations that employ PowerPoint slides. Slides crammed full of information and written in small type make it impossible to comprehend the points being made. Extensive, multi-lined tables are particularly difficult to see and understand. The rule for effective communication here is “KISS” — that is, “Keep It Simple, Stupid!” I was taught by Dr. James E. Dalen, a master communicator and Professor Emeritus at my college, to restrict slide information to four or five lines with a large, readable font size. Communicating with a sick patient requires special skills and involves a number of factors beyond the mere statement of facts. The doctor needs to focus their gaze on the patient’s face, speak slowly, clearly, and logically, and, as just stated, avoid technical jargon and/or medical abbreviations. Although some physicians may not agree with this, I often touch the patient’s hand or arm gently when I wish to emphasize a particularly important element in my clinical explanation. If I have something very important to tell the patient, such as the need for an operation or an invasive diagnostic procedure, I sit in a chair or on the side of the bed so that my eyes and those of the patient are on the same level. I remember clearly the day when, as a newly-commissioned first-year cardiology fellow, I was presenting a patient with mitral stenosis to Dr. Dalen. My presentation was very thorough and ended with a number of suggestions for managing the patient’s chronic obstructive lung disease and diverticulosis. Dr. Dalen supplied me with the mantra just cited, and I have followed it faithfully since then. In conclusion, the algorithm to follow involves focused and complete listening, simple and straightforward oral or written language stripped of jargon and abbreviations, and carefully fashioned responses to questions so the response answers the question that was posed. If you would like to write about communication for Elsevier Connect, contact Editor-in-Chief Alison Bert (a.bert@elsevier.com).